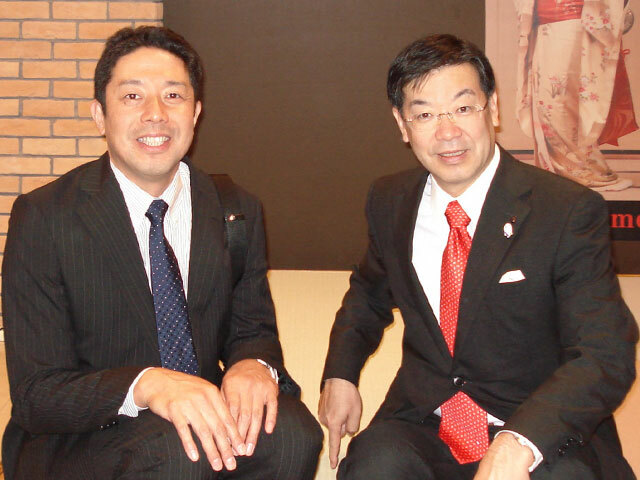 Hiroshi Motoyama, the fourth generation (left), along with Mr Keiji Yamada, Governor of Kyoto Prefecture. Photo taken in Shanghai. Located in the vicinity of Daitokuji temple, in Kita district of Kyoto City. We proudly deliver tatami nationwide and internationally. Our first generation, Shihei Motoyama opened his tatami shop in Kyoto in 1916, and then moved to this area in 1927, opening the shop we are in now. Through our long history, commitment to quality and connection to many culturally significant sites, we have manufactured tatami for important shrines, temples, tea house/rooms, ryokan (hotels), modern architecture and Japanese homes. Motoyama Tatami has First Class Certified Tatami Craftsmen and two Second Class Certified Tatami Craftsman. Our deep knowledge and our trusted technique allow us to meet our customers needs. We are active in overseas export. Working in numerous countries, often traveling to repair tatami on-site. We come to you to ensure the best outcome and a quality finish. Our gaol is to ensure tatami’s longevity here in Japan, and introduce tatami culture all over the world. Shrines, temples, ryokan (Japanese style hotels), building firms, companies and individual customers – Japan and internationally. You can see parts of our record in Japan and abroad here.